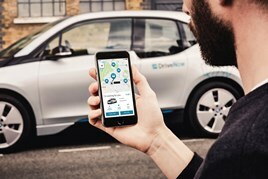 Car-sharing provider DriveNow is now a wholly-owned subsidiary of the BMW Group after its acquisiton of the Sixt stake was approved by antitrust authorities. Sebastian Hofelich, managing director of DriveNow, said: “The decision of the BMW Group to take over the Sixt stake is a clear commitment to DriveNow and a strong affirmation of our work to date. After approval from German antitrust authorities, the Austrian Federal Competition Authority has now approved the transaction. As a result, the car-sharing provider is now a wholly-owned subsidiary of the BMW Group with immediate effect. On the back of this move, managing director Nico Gabriel will return to his previous employer Sixt SE after the takeover is completed. Hofelich will now take over his responsibilities.